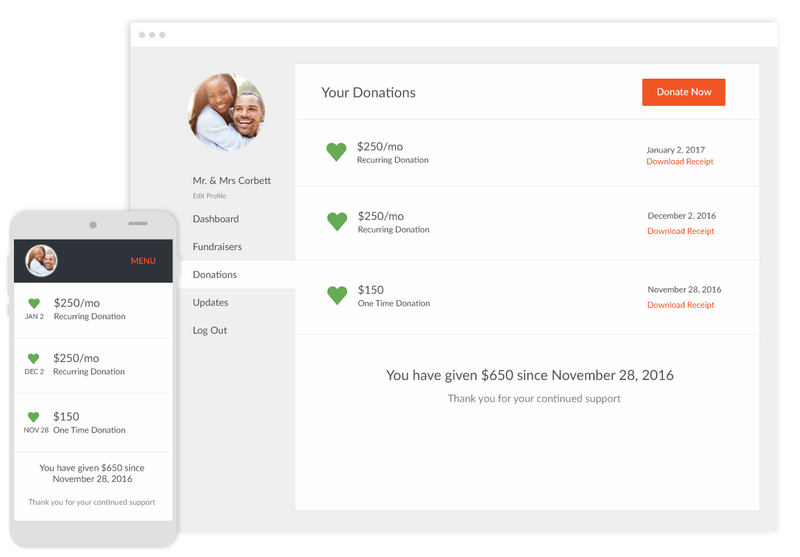 A fundraising platform that inspires action. Your nonprofit has an incredible story. It changes the world. It builds community. It creates the future. Hopsie provides you with modern, easy-to-use tools to tell your story, inspire your audience, and motivate action. 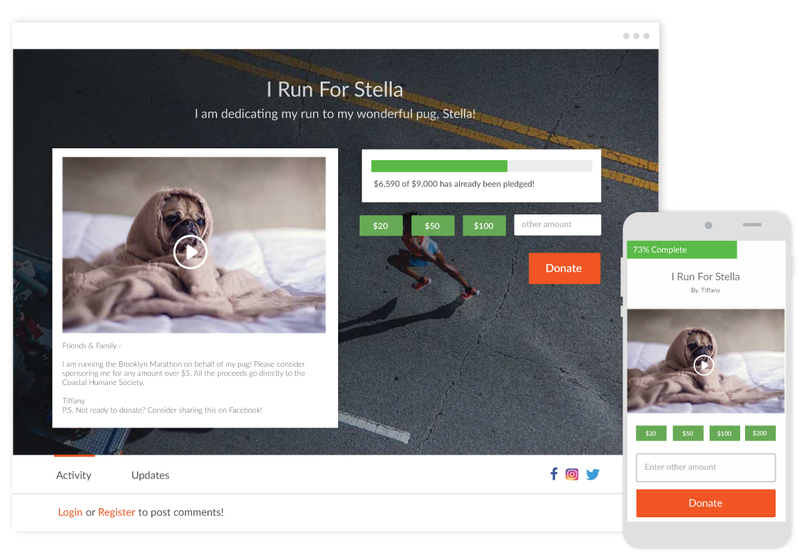 Create a fundraising page that’s so much more than a list of data fields. 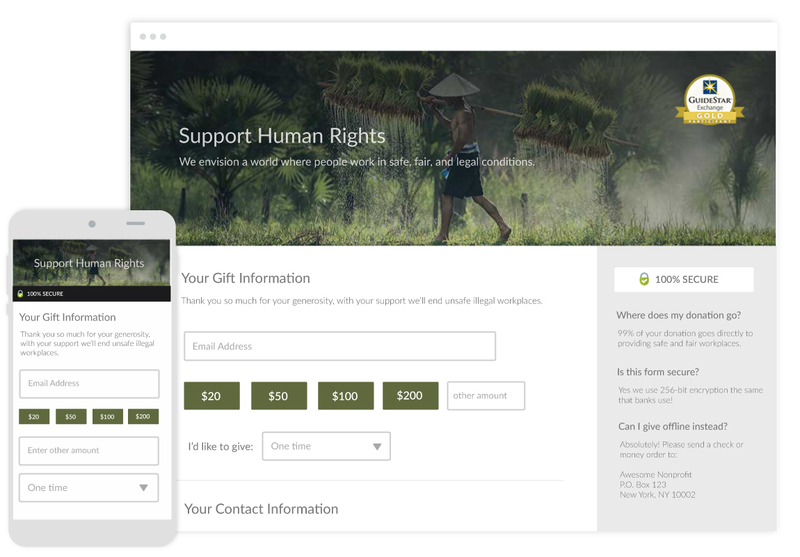 Hopsie’s donation forms are completely customizable so you can create a page that speaks to your audience and serves your unique needs. You decide how to tell your story and capture your data. "Honestly, the form looks amazing. We are so happy, THANK YOU!" 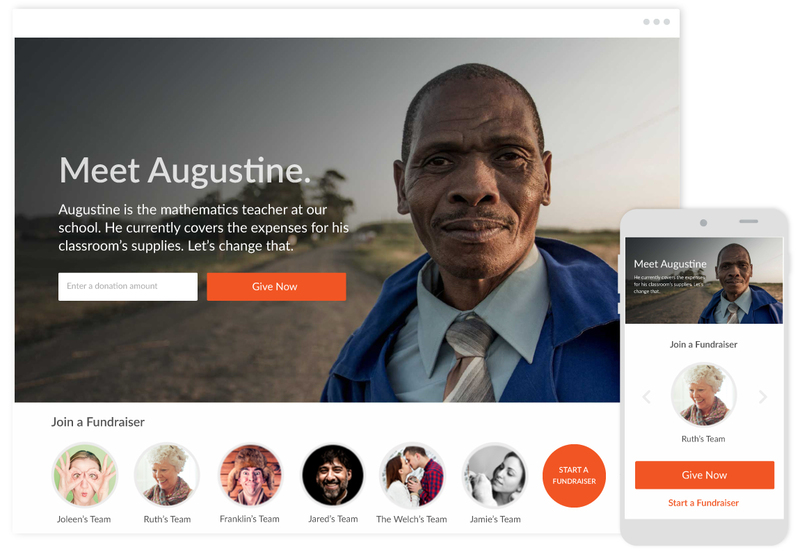 Allow donors to actively participate in your mission with peer-to-peer fundraising. Individuals or teams can easily build fundraising pages for your cause, giving your organization a warm introduction into new networks of like-minded, passionate people who want to support your mission. "Oh, thank you! I want to teach the Board how to drive people to our site for donations. This will be BIG"
Fundraising is just a small part of your nonprofit’s overall story. 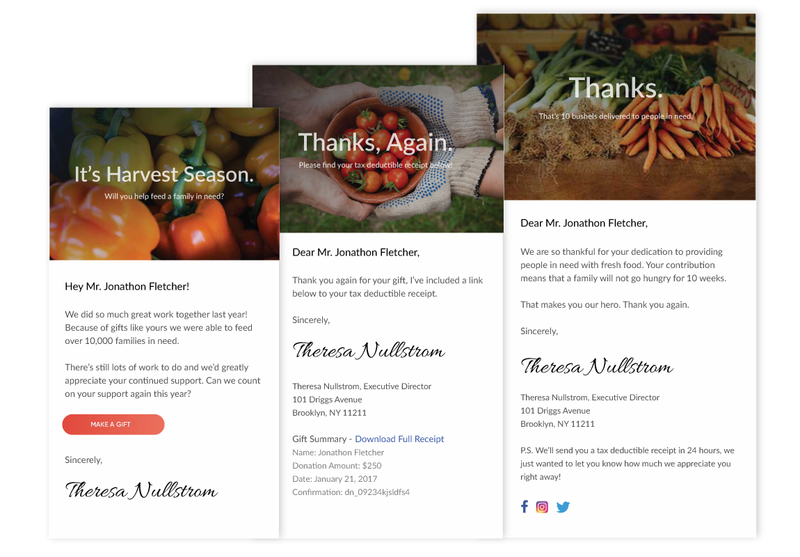 Our automated emailing system lets you take your donors along for the journey with customizable notes of appreciation, as well as the ability to schedule drip emails over time in order to sustain donor passion, retention, and involvement in your overall mission. "Thanks again for all of the help - couldn't be more pumped to work with you guys throughout the future." With clean, easy-to-create, and totally customizable landing pages, you’ll be able to keep your community apprised of your latest initiatives, events, and campaigns. Pages can serve multiple functions, giving visitors several options for supporting your organization, reducing bounce rates and driving up participation. "Just had one of the best customer service experiences with @HopsieInc. If you're in need of a fundraising site, check them out!" It’s giving made easy. With our donor command center, donors are able to log in to manage their gifts and payment methods, set up recurring payments, and view or download past or current tax receipts. "We love Hopsie! Thank you for the amazing work you do and your commitment to making this world a better place." We get it — you probably work with a ton of different apps and software to keep your foundation modern and efficient. We base our mission on the idea that technology should make the fundraising process easier. 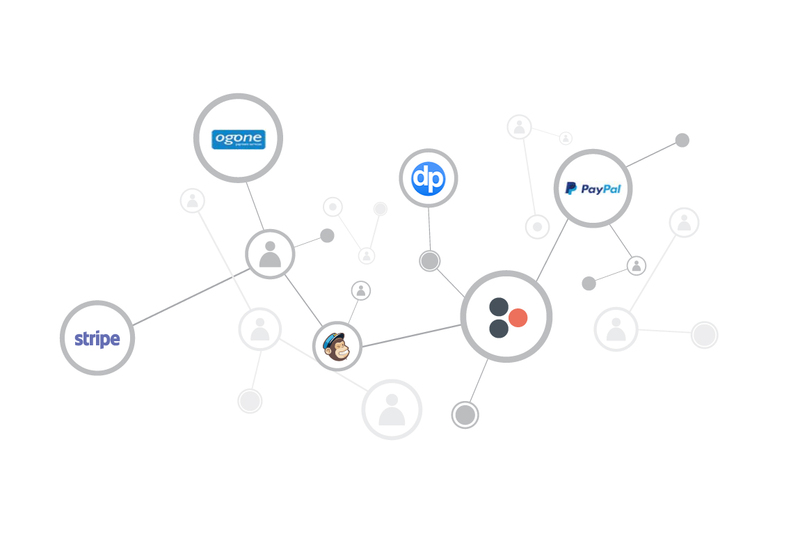 That’s why we’ll seamlessly integrate with your third-party payment systems, as well as your donor database software. "Thank you so much for all your hard work on the donation page. This is a huge accomplishment for us and a moment that many have been waiting for."